Safety First: Your Organization’s Safety Needs Why should your company consider implementing a Safety Program? First and foremost, a safe work environment for all employees is paramount for obvious reasons. Beyond the common sense reason however, a safe work environment can contribute to a company’s bottom line. Avoiding these means that your company can be more competitive in the marketplace and/or more profitable! Know your responsibilities for keeping a safe workplace. Develop a system for organizing safety efforts within the company. Know the safety laws and regulations. Always allow open communication for safety concerns in and around the workplace. From OSHA Safety Checklists to Employee Safety Manuals, and more great HR training tips, ERG’s HR Support Services can help. You also get access to our robust and expanding Training On-Demand library as part of your membership. 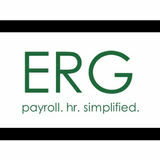 Please let us know if you would like to learn more about HR resources for small businesses.